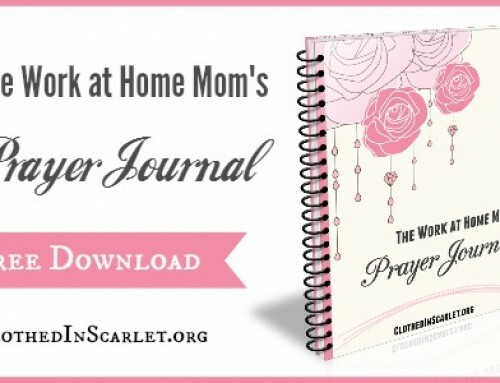 I’m so happy to introduce to you our new series on how to become a work at home mom. 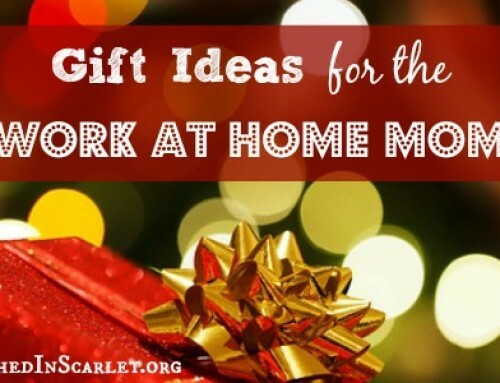 I know many of you are stay at home moms, or working moms, who’d like to start making an income from home. 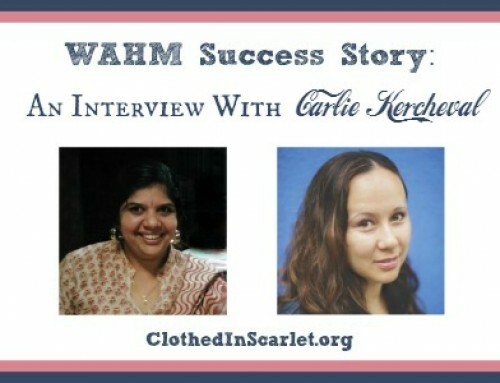 In this series, I will be taking you step by step through the entire process of becoming a WAHM using the online medium. So, if you have a desire to support your family financially from the comfort of your own home, stay tuned to this series. I have lots of resources planned for you in the coming weeks! 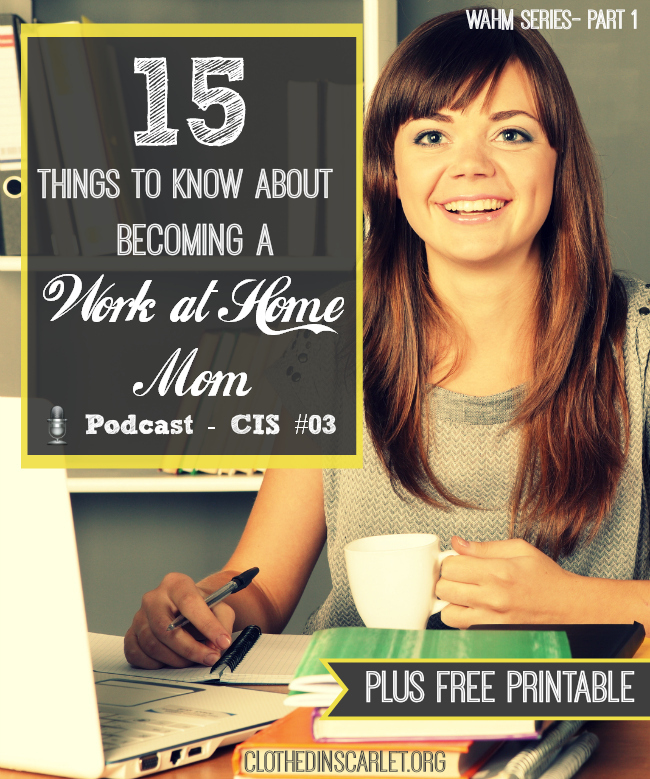 To start off, here is a podcast on 15 things you need to know about becoming a work at home mom. Here’s a short summary of the podcast. 1. You can have a flexible schedule. 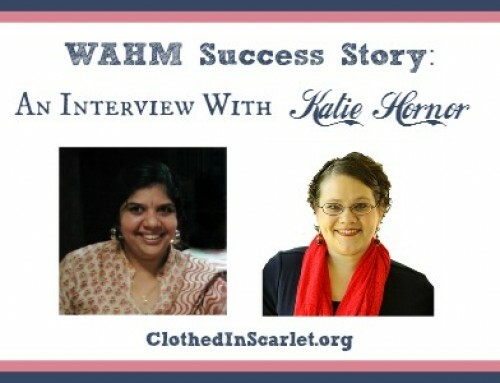 As a WAHM, you get to set your own working hours and work at a time that is convenient for you. 2. You can be there for the kids. You do not have to look for a babysitter or send you kid to daycare. You will be there for the kids when they need you. 3. You are available for any emergencies. Should there be any unforeseen circumstances, you can take care of it right away. 4. You get to use your time and talents to make money. Ever feel you’re not using your skills effectively? 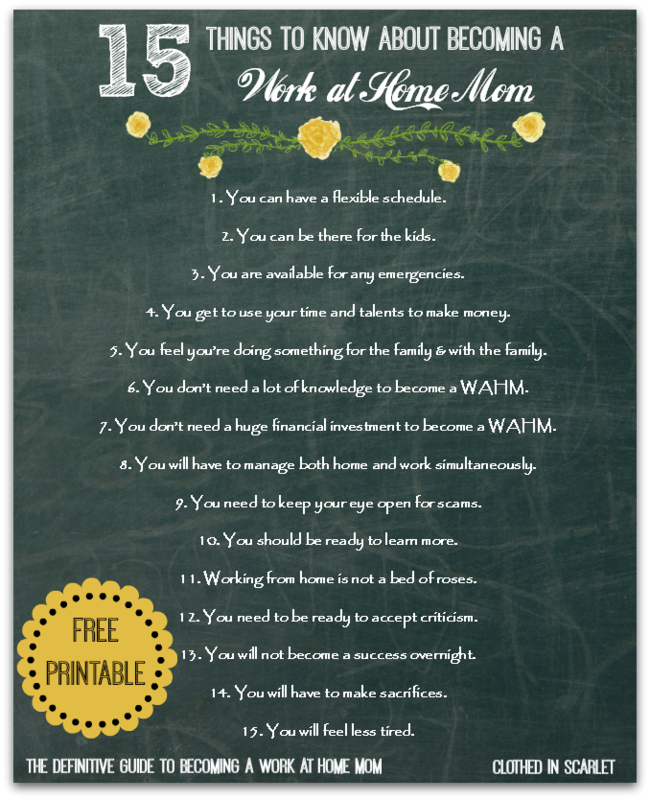 Becoming a WAHM will help you use your time and your talents to support your family’s income. 5. You feel you’re doing something for the family & with the family. You get to financially contribute for the family, and you don’t have to leave your family to do it. 6. 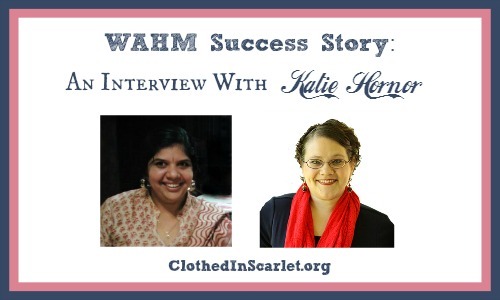 You don’t need a lot of knowledge to become a WAHM. You can start with what you already know and build up on it along the way. 7. 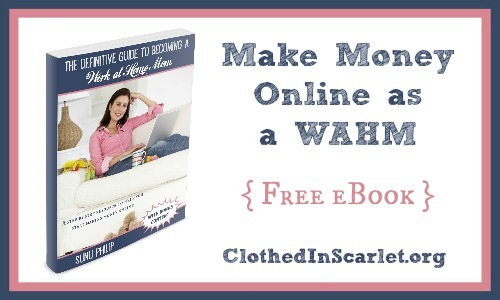 You don’t need a huge financial investment to become a WAHM. It doesn’t take a lot of capital to start working from home. You can start right away with what little you can afford to spend. 8. You will have to manage both home and work simultaneously. It requires quite the balancing act as you try to handle both your household tasks and your work-related tasks on any given day. 9. You need to keep your eye open for scams. There are a lot of fraudulent people online who may try to trick you. Be on the lookout for them. 10. You should be ready to learn more. As a WAHM, you should always be expanding your knowledge. Keep learning more about your core topic, develop your internet skills and anything else you may need to build your online presence. 11. Working from home is not a bed of roses. Just like any other field, a lot of time and effort is required to make money online. 12. You need to be ready to accept criticism. There will be naysayers out there, and all feedback will not be positive. You need to develop a thick skin and be ready for the brickbats. 13. You will not become a success overnight. You need to be patient and keep putting in the hard work. But it will pay off in the long run; you will gradually start seeing growth. 14. You will have to make sacrifices. The harsh reality is that you will not be able to do it all. Your home may not be sparkling clean, and you may not be able to cook dinner everyday. 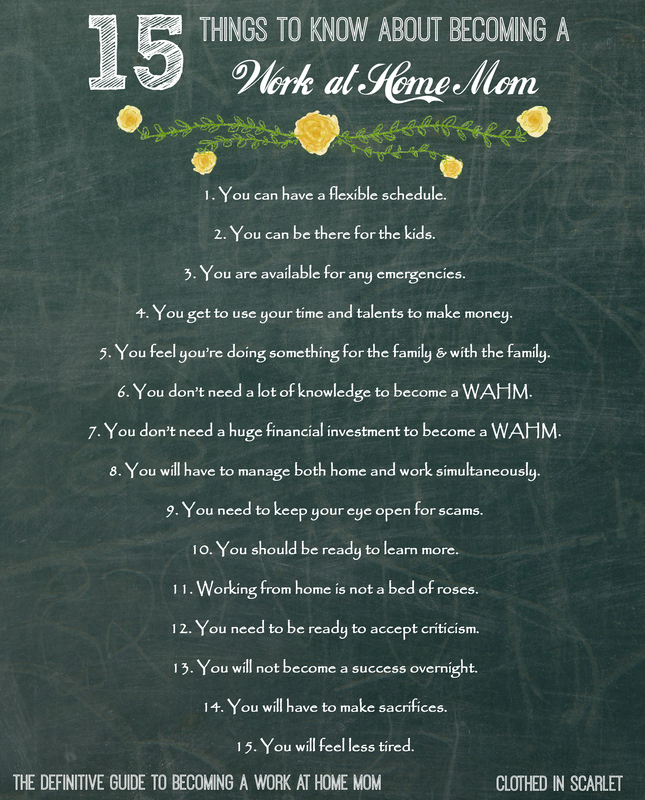 There are some sacrifices you will have to make if you want to succeed as a WAHM. 15. You will feel less tired. 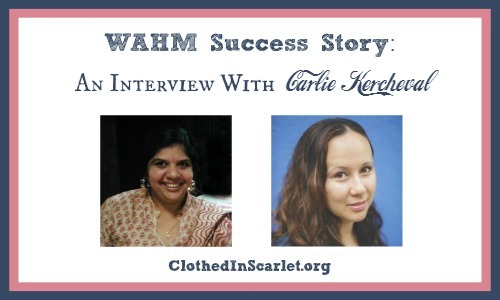 If you’re used to traveling for work, becoming a WAHM will be less strenuous for you. All that being said, as a WAHM, you get the best of both worlds. 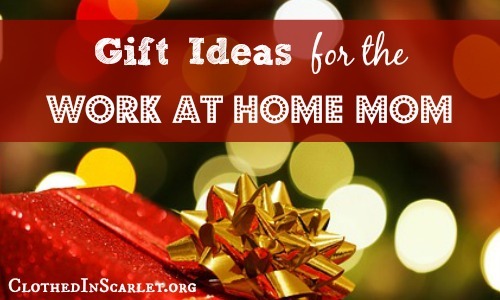 You get to stay home and care for your family, while also bringing in an income. Yes, it will take some time for the money to start rolling in… but stay focused, keep doing the work and you will see it happen. You can download a printable version of this list here. 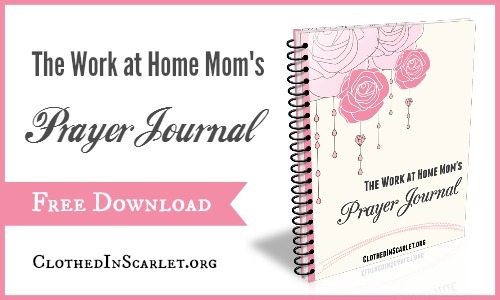 Click here to download the printable in PDF format. 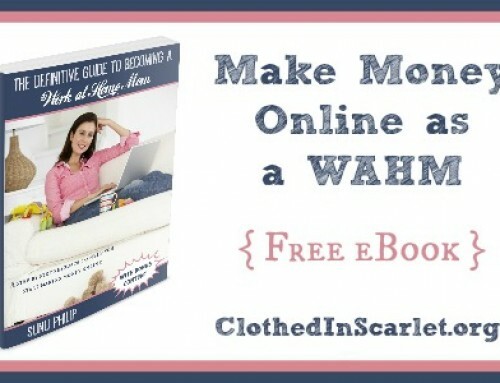 The WAHM Guide is Now a Free eBook!